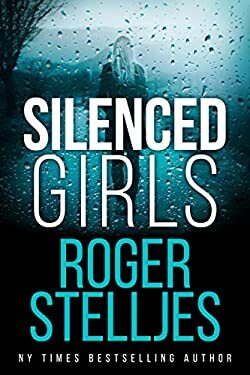 Roger Stelljes (website) is an American author (and daytime lawyer), popular for his McRyan mystery thriller series, featuring Mac (full name Michael McKenzie “Mac” McRyan), a 4th generation homicide detective in St. Paul, Minnesota, and his new Hunter mystery thriller series, featuring FBI Special Agent Tori Hunter who returns home to Manchester, Minnesota to investigate a crime that hits too close to home. The author was born and is living in Minnesota and besides being a crime mystery author, he is also a full time lawyer, specialized in employee benefits. He graduated with a Bachelor’s degree from the Minnesota State University, Mankato in 1989, after which he enrolled at the Mitchell Hamline School of Law, from where he got his Juris Doctor (J.D.) degree in 1994. He started working as an attorney at the Arthur Chapman law firm in 1993 and worked there until 1993, for 3 years. Over the years Roger Stelljes worked at several other law firms, and currently is employed at the McGrann Shea Carnival Straughn & Lamb, where he is also a shareholder. The McRyan mystery series is the author’s main (and only) work so far, which consists of 5 main books and a novella, which is the prequel (and ideally should be read first). Here are the Roger Stelljes books in order for his series, with the reading order listed in brackets. While each of them has a standalone story, there is a main story running throughout the series involving Mac, which makes the series worth reading in proper chronological order. Added the new Hunter series, sorry about the delay. The list is fully updated now. Are there going to be anymore McRyan books? They are such a good read and the characters are likeable. I have read your first four books, loved and enjoyed them. Just purchased #5 , Fatally Bound, for my Kindle. Thank you for many hours of reading pleasure. When is roger steelhead going to write a new book? I have read tons of your type of stories, Patterson, Child, Deaver and all the rest of the big boys. You are just as good as the best of the best and I do not know why you are not as assessable as those other authors. I am also a hockey nut as you must be. Mac McRyan is a great hero for you and us, the reader. I have read all the McRyan Mystery’s and wanted to know if you will be having more? I have loved really loved this series and I am hopeful there will be more with all the great character’s. Thank for you time.